There is such a pure energy that seems to take over every one as we pass into a new beginning. Possibilities and hope surround us, and we are once again motivated to really go after our ambitions. Personally, I like to start the year with a clean slate. It’s a perfect time to slough off the previous year Inside & Out. Cleansing and detoxing are like hitting the re-set button, and give you a clean canvas to create your masterpiece on. The beginning of a new beginning happens when you wak e up. This is the time to wash away everything that came before. First thing in the morning rinse off your face and cleanse your mouth to get rid of unfriendly bacteria that has collected there during the night. This simple cleansing will prevent your body from reabsorbing this bacterium. A salt water swish will get the job done, or you can opt for oil pulling with coconut oil. 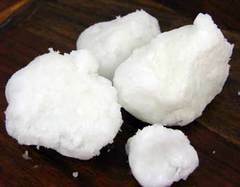 Instructions for oil pulling are here. I’m not talking about eating liver, or cannibalism for that ma tter. 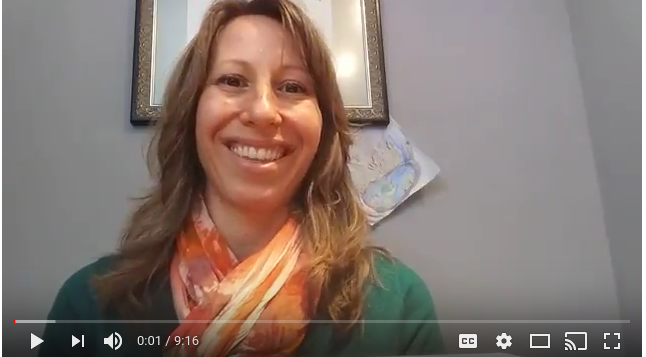 I’m talking about cleansing or detoxing the liver. The liver is the filtration system of your body. Filters for your car, pool, air conditioning (the list goes on) all need to be cleaned, as does your liver. 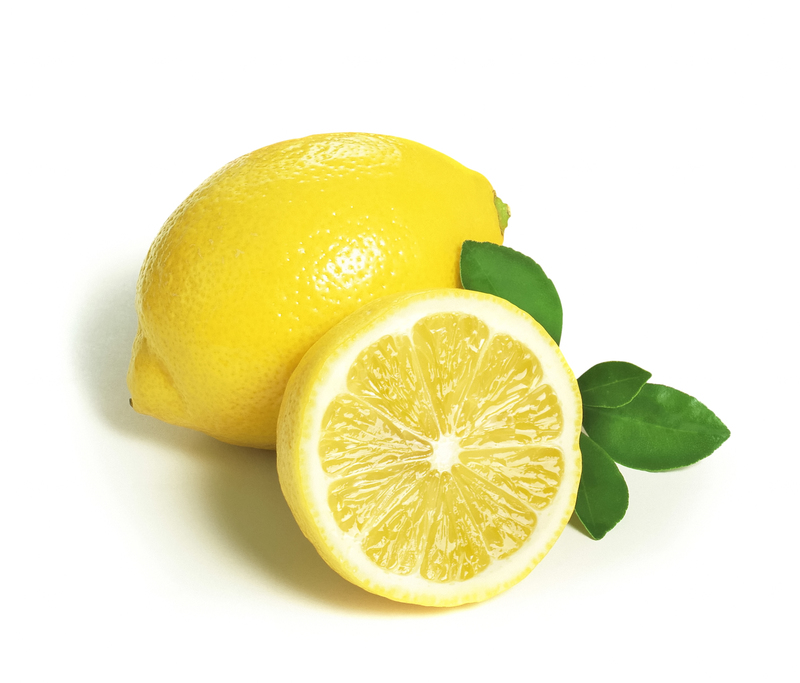 My favorite cleansing technique is drinking lemon water – easy and tasty. There’s more about it here. Another way to detox is by adding a teaspoon of apple cider vinegar (raw, unfiltered, with the mother in it) to your water in the morning, and drink it down before eating. I can tell you that I actually quite like it; however, I was also the kid that would drink the pickle juice out of the jar, so you may want to gauge my taste buds with that. Here are some more of the benefits of apple cider vinegar. Yet another is bentonite clay. This powerful clay will detox the liver, cleanse the colon, and pull heavy metals from your body. When using bentonite clay, you should not allow it to touch metal (such as spoons), as its nature is to absorb heavy metals. Put ½ tsp – 1 tsp in a glass of water and shake it well. The best way to break it up is with shaking. You can mix it in water at night to let it absorb, and drink it in the morning after a good shake. Drink it at least an hour before eating. Finally, another one of my favorite ways of cleansing the liver is by drinking tea. Milk thistle and dandelion root are excellent for cleansing the liver. Personally, I’m not a huge fan of the flavor of dandelion root, so I created Sugar Buster Tea, which blends the dandelion root with other herbs that are known to balance the blood sugar, reduce sweets cravings, fight candida symptoms, and cleanse the liver. Your skin is your largest organ, so not only should you be mindf ul of what you are putting on it, but from time to time you should slough some of it off to revitalize it. I’m a huge Ava Anderson Non-Toxic user and consultant, for the reason that I can trust their ingredients and know they work. 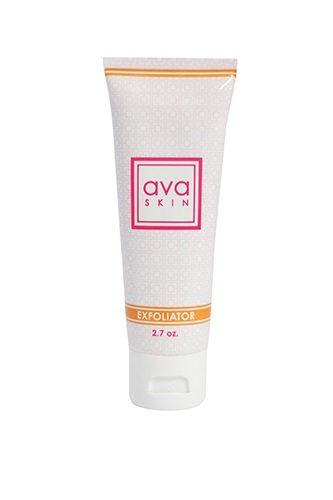 Ava Anderson offers a gentle exfoliator for the face, a lemon sugar body scrub, and candy cane body scrub that are so indulgent and toxin-free, and do a wonderful job of removing dead skin cells. They are definitely worth a try. I also use the skin to heal. Since everything absorbed into the skin goes right to the bloodstream why not use that as an indulgent way to create balance in your body? 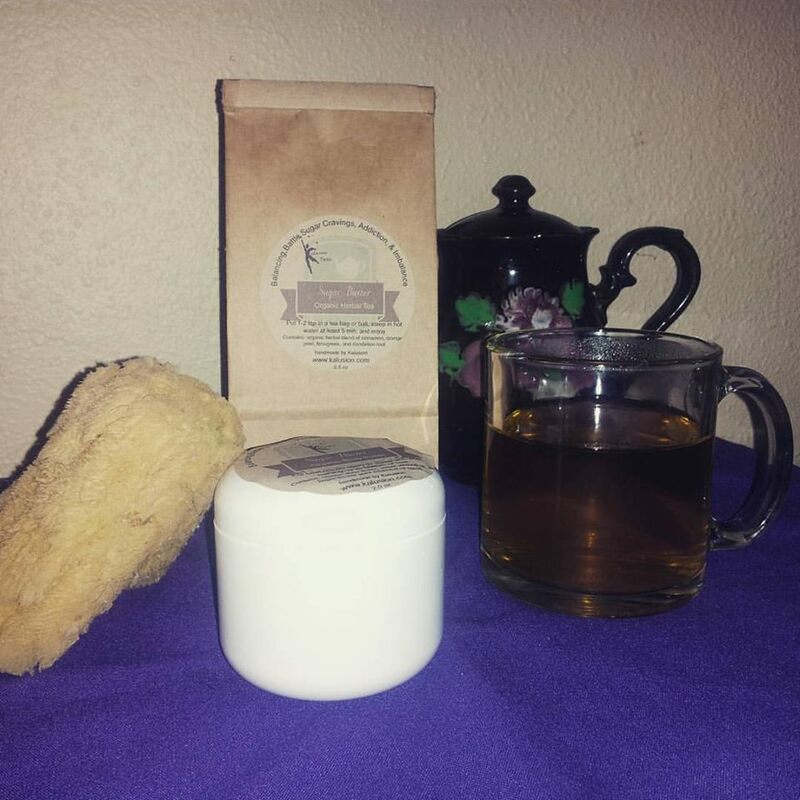 For cleansing, I like the Sugar Buster Body Butter, which complements the tea previously mentioned. The essential oil blend of Sugar Buster Body Butter has properties hailed for balancing the blood sugar, improving candida symptoms, and supporting you in breaking a sugar habit. Remember sometimes things get worse before they get better. If you are noticing some breakouts, congestion or phlegm, headaches, even a different taste in your mouth, or other mild symptoms it can be a sign that toxins are moving out. If you are using this time to cut out sugar and processed foods, there will almost certainly be some withdrawal symptoms. Give it at least three days. Usually the third day is the worst, and once you get over that hump you start feeling the benefits of the hard work you put in. Best wishes as you wipe the canvas clean. I know you’ll create an amazing masterpiece. If you need support please contact me, I’m here to help. If you would like to try out some of the nifty products I have mentioned above, click on the links within the post or below. I am affiliated with these companies and may receive an affiliate fee or commission, which supports Kalusion in educating as many as possible to spread Health & Harmony Inside & Out. I only promote products I use for myself and my family. Thank you for your support. You can find Mountain Rose Herbs coconut oil and bentonite clay here , as well as an abundance of organic herbs and oils.